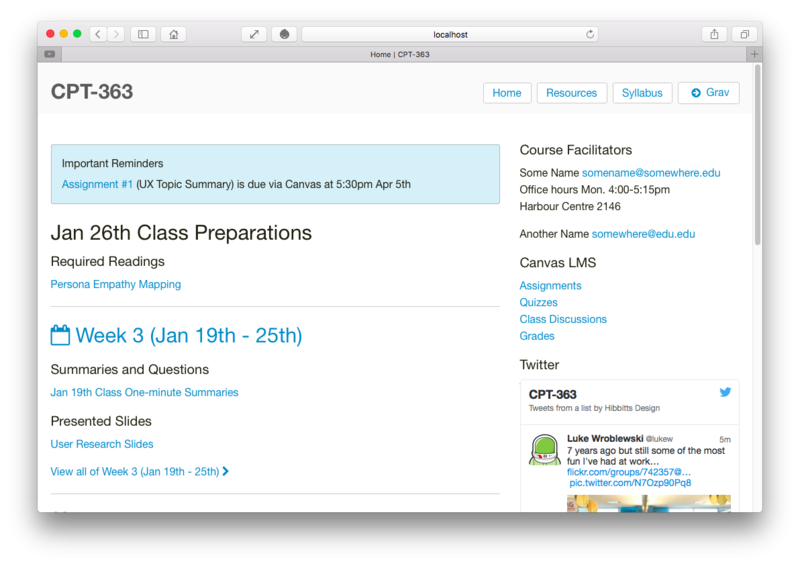 Do you have unmet pedagogical goals due to the constraints of your current LMS? Do you want to have a better experience for your students and yourself? 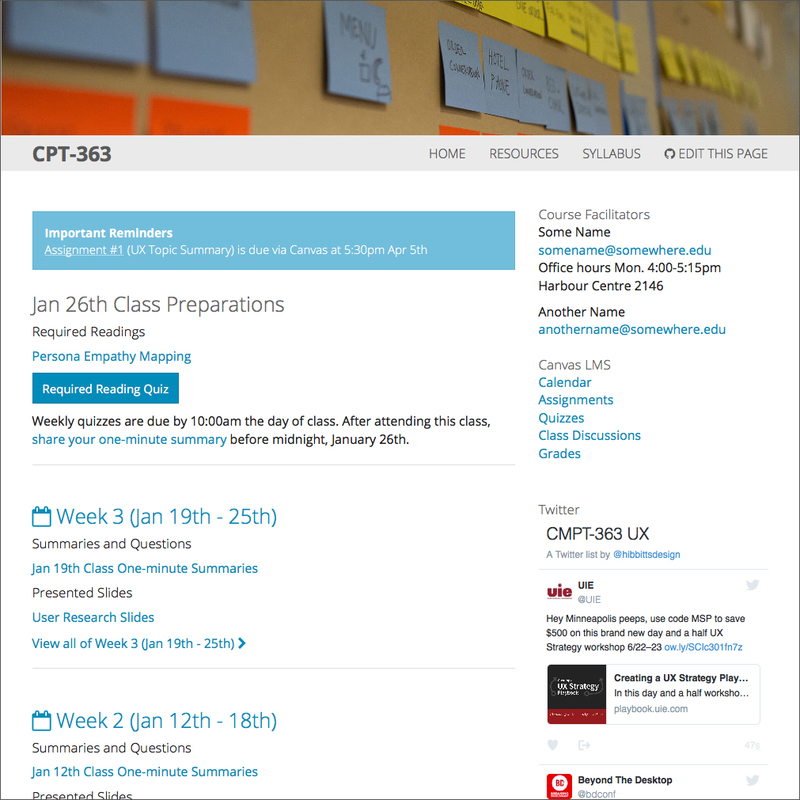 In preparing his Fall 2015 CMPT-363 (User Interface Design) course at Simon Fraser University, instructor and interaction designer Paul Hibbitts faced these same challenges. His solution was to ‘flip the LMS’ by designing and developing an alternative front-end to the institutional LMS Canvas (http://paulhibbitts.net/cmpt-363-153/). In this approach, the LMS was used only for elements it was best suited for (i.e. student records, grades, etc.) with all other elements handled by an open extensible platform completely under his control. Figure 1. 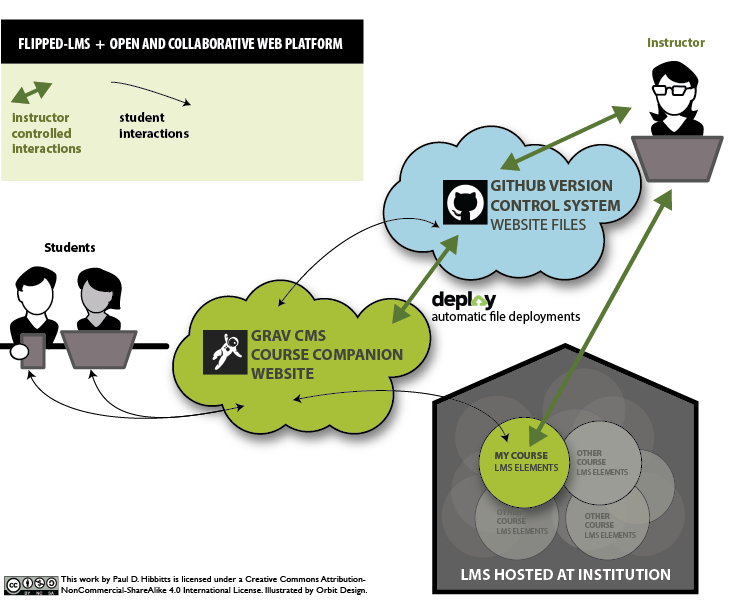 Flipped-LMS approach using Grav CMS, GitHub, and Deploy. To kick off 2016 in style, I’ve just released an early prototype + documentation for my Grav CMS Course Companion skeleton package, based on the Bones Vanilla theme.